Decos and mosaic tiles add a touch of elegance to any design and are the perfect accompaniment to both indoor and outdoor applications. Medallions began as an art form used by the Romans to create portraits of prominent figures such as kings and queens. Today, medallions can be found in many designs from hotels, restaurants, and homes. 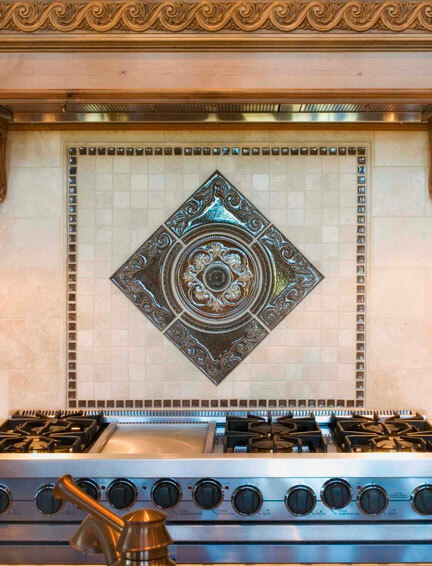 Nothing makes an entry way or backsplash quite as grand as a beautifully designed, intricate medallion. Glass tiles add a modern flare to a bathroom remodel, kitchen redesign, or tile inlay. 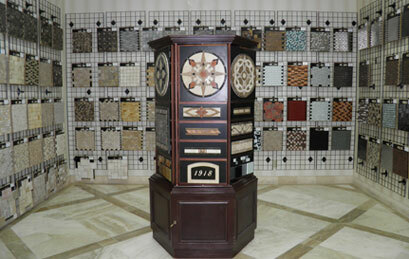 They can be used in a home full of traditional design or in the most modern setting. Glass tiles can also add beauty to outdoor environments, around pools, as inlays in walking paths or on walls. Create a dynamic mix of both matte and gloss. 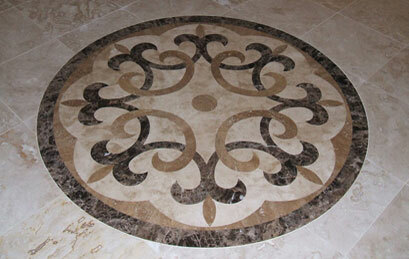 Glass and stone blend mosaics add a range of colors and textures to any design from transitional to sleek and modern. From marble to travertine, natural stone mosaics will dress up any backsplash or shower and provides a unique, textured finish that will have the durability and performance of natural stone. Add a beautiful ceramic or porcelain tile backsplash with confidence! Ceramic and porcelain tile naturally resists moisture, stains, fungus, and bacteria. They require little maintenance and offer long-term performance. A unique look for ultra-modern, contemporary and art deco design. Metal mosaics work great in kitchens and baths offering both very little maintenance and durability.